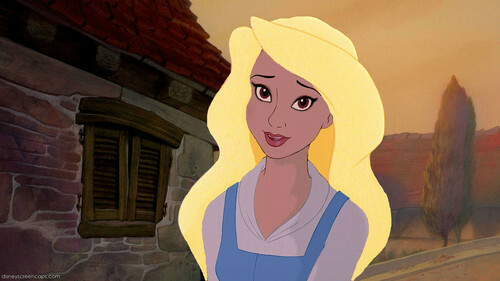 Belle with Odette's Hait and Jasmine's Eyes. . Wallpaper and background images in the heroínas de filmes animados da infância club tagged: disney heroine non disney. Actually, she looks quite pretty. I don't think that hair suits her. She looks better! Though that's not one of her best screencaps. I think she looks beautiful!